1. Do not leave. Even if the accident seems to have caused little or no damage, you must stop. Leaving without asking if the other person is injured is illegal and considered a hit and run. If the owner of the damaged property or vehicle is not present, you must leave a note. 2. Call the police. The other driver may seem nice enough, but without police documentation, you have no proof that the accident happened, or verification that information provided by the other driver is valid. The police may not immediately come to the scene of the accident if there are no injuries, but you can always get an accident report. If the accident is minor, move out of traffic for safety. 4. Watch what you say. You may feel enraged after an accident, but try to keep a level head. The first question you should ask the other driver (and passengers) is “Are you o.k.? Call 911 immediately if someone is injured. Be polite and ask for the appropriate information, but do not apologize or admit fault. Also, do not accuse the other driver of causing the accident, leave assigning fault to the police. 5. Take pictures. If you don’t have a camera on your mobile phone, keep a disposable camera in your vehicle. Take pictures of the vehicle damage as well as accident location. 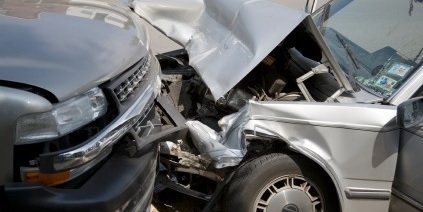 After the accident, call your insurance carrier to start the claims process. Be familiar with your policy before you need it. Check to see if your policy covers towing or if it will provide a rental car while yours is being repaired. Rental reimbursement is optional coverage that is not automatically included. Contact me if you want to review your car insurance policy or add rental reimbursement. One Response to "Car Accident: rules to remember"